The aim of the LivingScience Foundation is to enhance public health in Nigeria by facilitating and promoting sound evidence-based, comprehensive and holistically-derived, home-grown environmental policies and practices; undergirded by a conviction that an all-wise benevolent Creator designed the world to run sustainably. Examining the environment-health nexus in a systematic and focused research with the purpose of confronting, halting and perhaps reversing the ugly trend of increasing incidents of chronic degenerative diseases all around us. Get the best and most current updates from our blog posts. Unlimited documentation of exciting and educative articles and resources. Get relevant information about the environment we dwell and how it relates with our health. You can join us in achieving the Living Science Foundation mission. 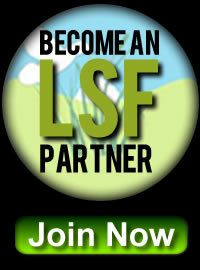 Become a LSF Partner today in order to be able to make your contributions, donations and supports. The Vision of Living Science Foundation (LSF) is that of an independent Non Governmental Organisation (NGO) engaged in a systematic, focused research into the environment-health nexus with the purpose of confronting, halting, and perhaps reversing the ugly trend of increasing incidents of chronic degenerative diseases all around us. The bedrock for this vision is the belief that the Creator in His foresight, genius, and benevolence has “fearfully and wonderfully” made us; and if only we will “think His thoughts after Him”, we might yet discover basic rules that can help alleviate many of these diseases which are now known to be linked with our environment, diet, and lifestyle. This will also further generate faith and confidence in what is revealed about the almighty God in the Bible, for other areas of life. Making known the Creator’s way on earth, making available His saving health to the nations (Psalm 67:2). Science for life more abundant (John 10:10). And it shall be that every living thing that moves, wherever the rivers go, will live. There will be a very great multitude of fish, because these waters go there; for they will be healed, and everything will live wherever the river goes. The aim of LivingScience Foundation is to enhance public health in Nigeria by facilitating and promoting sound evidence-based, comprehensive and holistically-derived, home-grown environmental-health policies and practices; undergirded by a conviction that an all-wise benevolent Creator designed the world to run sustainably.